Suitable for use on Brompton Bikes. Can be used in place of Brompton Rear Carrier (Brompton Part # 9039012 / QRCA). There are two versions of the rack, either the standard (285mm) or the shorter (255mm) version. 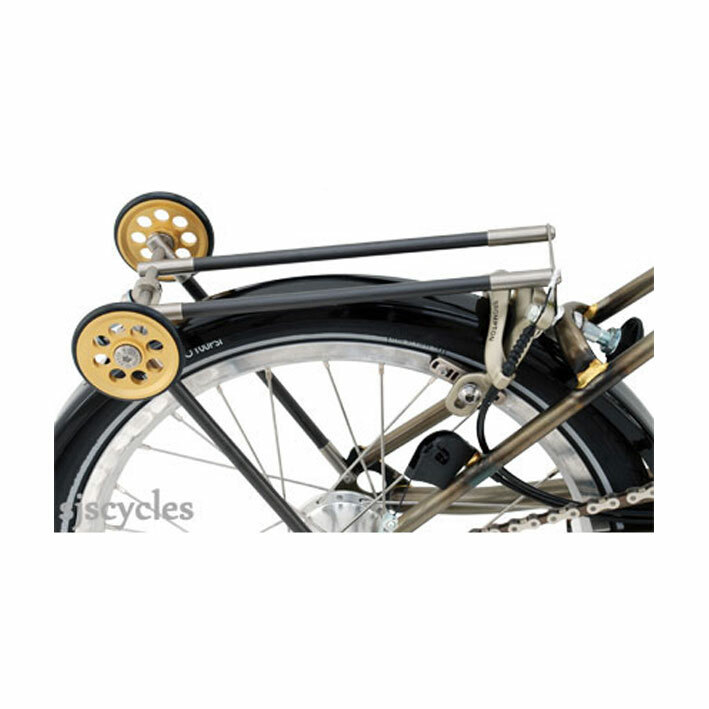 This is the shorter version & is designed to be used without the mudguard for maximum weight saving. Both versions are 120mm in width. Set consists of titanium (TI-6AL-4V) / carbon rear rack platform with aluminium (6061) easy wheels.